MONTREAL - As cotton-thick snow falls on St. Catherine Street in the heart of the province of Quebec’s largest city, Iwao Tsumura works away in his dingy second-floor shop. His fingers probe the movement of a fine gold watch he peers at through a loupe in his eye. The screws and springs are miniscule, and it’s fine, detailed work, but Tsumura has a fast, light touch founded on decades of experience. 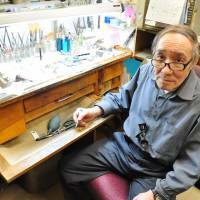 The 69-year-old has been repairing quality watches for 40 years, and has built a reputation among Montreal’s jewelers as the best craftsman in the city. And that’s despite him having lost several fingertips long ago in Japan. 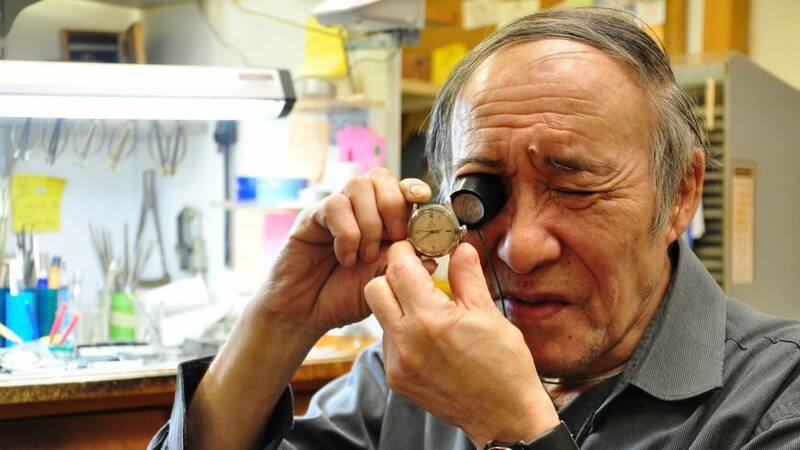 Born in 1944 in Hokkaido, Tsumura is now one of the few people left working in Quebec who can repair mechanical watches which, unlike modern, quartz timepieces are actually driven by mainsprings that must be wound periodically. While highly skilled watchmakers were once common in North America, the battery-powered “Quartz Revolution” launched by Seiko’s 1969 Astron swept away mechanical watches in the 1970s and 1980s as cheaper timepieces — some of which are now powered by solar cells or vibration — took over. This has made craftsmen like Tsumura a very rare species indeed. 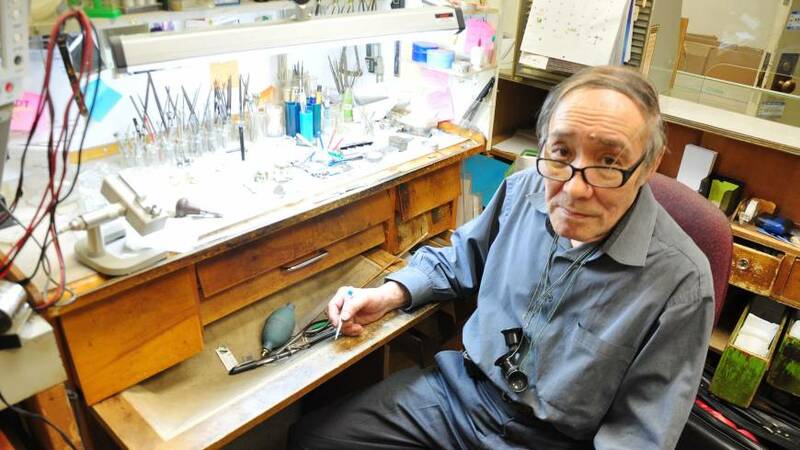 Growing up in the remote city of Obihiro, Tsumura learned the rudiments of the trade from his father, who ran a jewelry shop and employed watchmakers. As a youngster, he enjoyed messing around with Seikos and Citizens he came across in the shop. He also got kicks out of playing with gunpowder, and accidentally blew off three fingertips at age 14. When he was old enough to go to college, he studied industrial management at Chiba Institute of Technology. 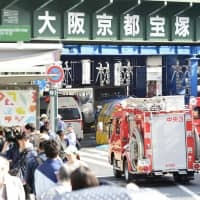 That led to a job at a Japanese carmaker, but he found it hard to adapt to the strictures of its hierarchy and quit after six months. His father was furious, and refused to let him work in the family shop. 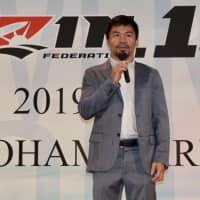 So Tsumura began a journeyman life of short-term jobs. He found a job in the jewelry trade in Tokyo. It was the 1960s, Japan’s economy was growing rapidly, and business was booming. Tsumura delivered gold rings and necklaces to Ginza hostesses who got them as rewards for selling drinks to salarymen. It was easy work, and he saved his yen. Around 18 months later, he quit so he could pursue a long-held dream to travel overseas. He boarded a ship in Yokohama with two friends, landed in Vladivostok (then in the U.S.S.R.; now Russia), and ended up in Vienna via Moscow. His funds were running low, so he began working as a busboy in Chinese restaurants. But they were dead-end jobs and he soon got homesick. He tried his luck working for jewelry shops in Geneva. His first boss fired him on the first day, as did the next three bosses. But as he went from job to job, soon he lasted a week and then several weeks, in part by spying on his colleagues. While traveling in Europe, Tsumura stayed in a youth hostel and met a Canadian who told him about life there across the North Atlantic, with wide open spaces — and job opportunities. Tsumura was enchanted by the picture the man painted, and decided to apply for immigration. Montreal had then just hosted the International and Universal Exposition — also known as Expo 67 — which was probably the most successful international fair of the 20th century. Back then, at the time of Canada’s Centennial, Montreal was in its heyday as a globally hip, cosmopolitan city of French speakers. Tsumura loved the language and moved here in 1970. A Montreal watch-import firm took him on right away when he said he had five years’ experience repairing watches — though he only had two. 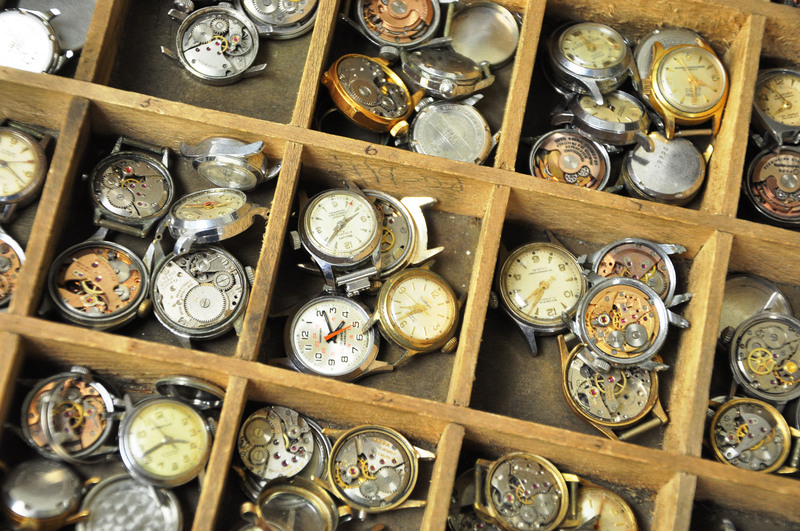 He excelled at the work and was given the most difficult repair jobs among the staff of 25 watchmakers. This boosted his confidence enough for him to strike out on his own. 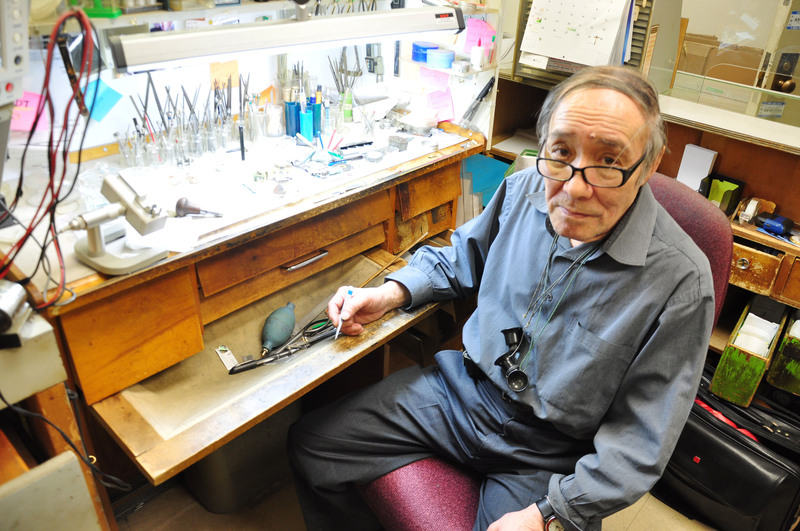 At first, Tsumura set up his own repair business in his apartment and traveled to jewelers all over the city looking for clients. He also returned to Obihiro to visit his family, and his sister introduced him to a friend, Yumi. The two hit it off, and Yumi agreed to marry him and move to Canada. She still helps him by by doing his bookkeeping. 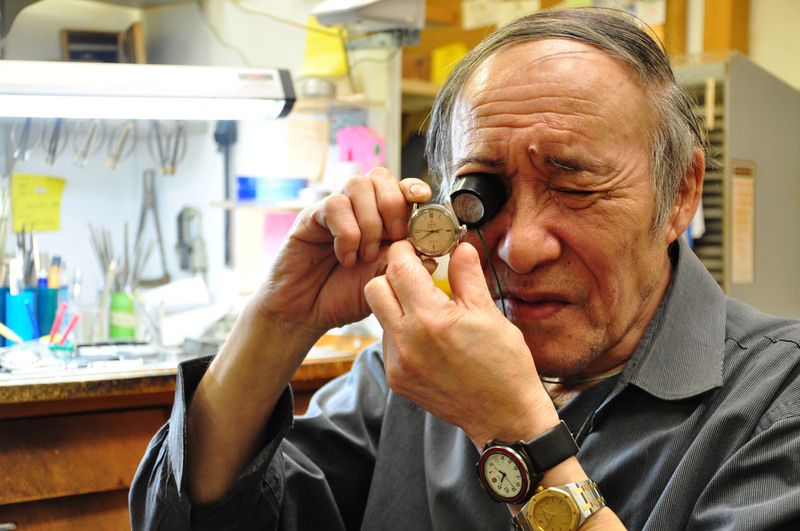 Tsumura has been repairing watches in his workshop in downtown Montreal for 25 years. Named Nicola’s after the Greek watchmaker from whom he bought it, it’s up in an aging building that seems given over to businesses peddling the trades of yesteryear. There are Lebanese tailors and Egyptian travel agents, and somehow a Japanese watchmaker fits right in. 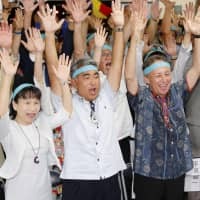 But age is catching up on him and he’s closing his shop and finally retiring this month, just before his 70th birthday. 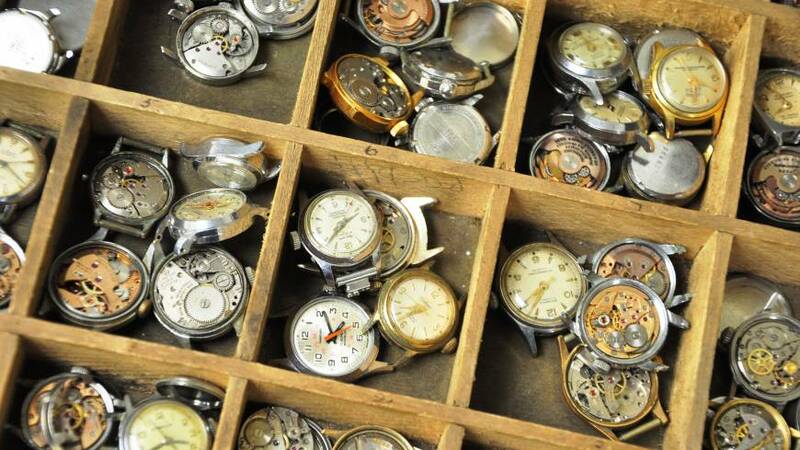 His workbench is littered with pocket watches, wristwatches, movements, tweezers, quartz timers, case-openers and loupes. The innards of a grandfather clock lie nearby. The cabinets are full of watch crystals, mainsprings, hands — and thousands of parts for Omega, Tissot, Citizen and other brands. Though he has a quite considerable inventory on hand, Tsumura knows just where to find every part he possesses. He sits at his bench from 7 a.m., five days a week. Working with remarkable focus and speed, he performs complete overhauls and cleanings on five to six mechanical watches, or replaces the movements of 10 to 20 quartz watches, every day. 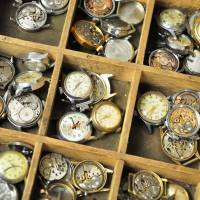 A wide range of timepieces pass through his worn hands, from $50,000 diamond-studded Cartiers to century-old fob watches and clocks — to throwaway Casios. For its craftsmanship and simplicity of construction, his favorite brand is Rolex. 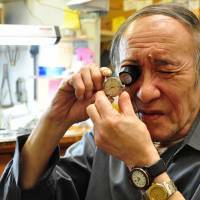 Sadly, Tsumura won’t be passing on his skills to an apprentice, though he says there aren’t enough skilled watchmakers left. Indeed, Canada’s last remaining watchmaker school, L’ École nationale d’horlogerie founded in Trois-Rivières, Quebec, in 1946, has only 10 to 15 students every year, and is in danger of closing. While there are still plenty of luxury watches on the market that need expert care, few people are willing to learn the trade, according to Tsumura. He plans to keep his tools and do repairs part-time in his retirement.